It's Monday again. Last week was a bit unusual. My kids were home for four out of five days because we got an inch of snow. Yes, I'm serious. I was glad to see them enjoy sledding, building a snowman, and playing with their friends in the snow. We haven't had that much snow in about 3 years! 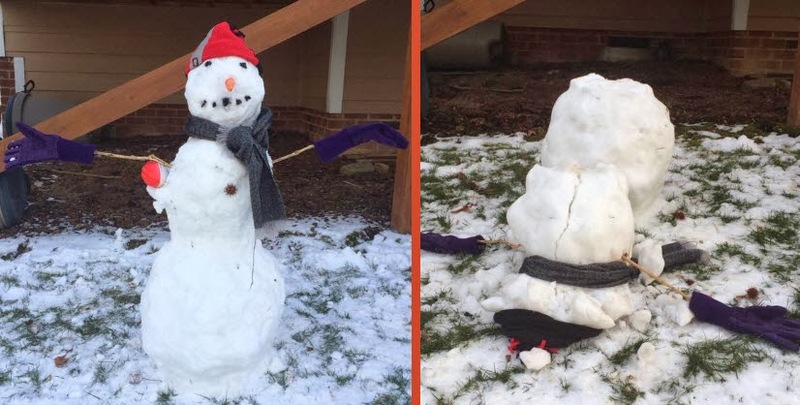 Unfortunately, Frosty only lasted a few hours, but the kids had fun building him before he took a face plant into the ground! 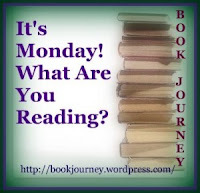 I reviewed Savvy by Ingrid Law, another book from C's Battle of the Books list. It was an interesting story and I know that C is looking forward to reading the next book in the series, as soon as the battle is over! I also put together my January month in review post. I am hoping to keep up with this every month, so I've created a rather simple template to use. I didn't keep track of statistics last year, and I'm regretting it. So I'm hoping to get back to it in 2014. 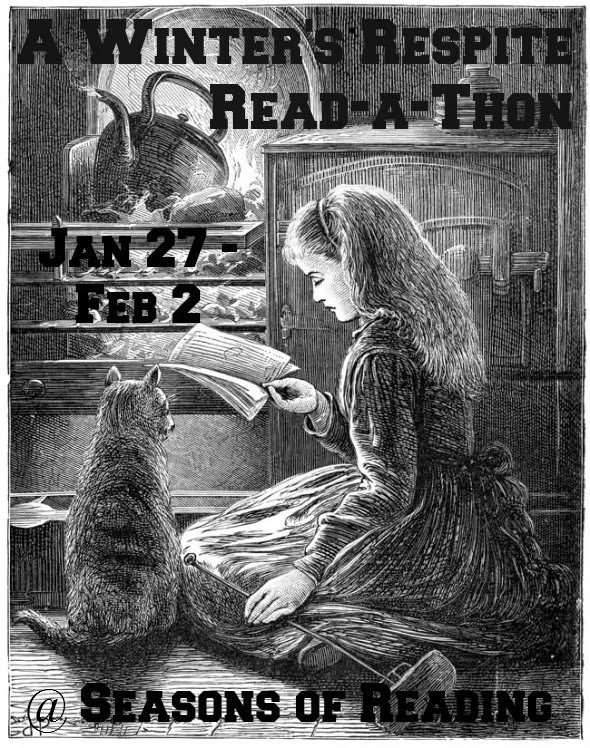 I ended up getting a lot of reading done since I was participating in the Seasons of Reading Winter Respite Read-a-Thon. I finished two more middle-grade books from the Battle of the Books list: The Trouble with Chickens by Doreen Cronin and The Tale of Despereaux by Kate DiCamillo. I have to admit, I didn't love either of these books. I'm enlisting my son to help write the reviews since he liked both of them. Hopefully we can offer a couple different perspectives of these books. I also started reading The Free by Willy Vlautin, which is a book I have for a book tour next week. I didn't get as far into that one as I had hoped. I didn't have a lot of time to read on the weekend since we decided at the last minute to host a Super Bowl party! Next, I'll be picking up February's book club selection: The End of Your Life Book Club by Will Schwalbe. We had three snow days last week, for a total of seven so far. Crazy! Hope it settles down here for while... we didn't really get too excited for Tale of Despereaux either, although my kids liked Because of Winn Dixie by DiCamillo. That's good to know. Maybe we'll check that one out. Thanks for stopping by!